Goats are not for everyone. You love them, or you hate them. They fight fences, and are always inside of things you want them to be on the outside of. They’re destructive, contrary creatures with very high self-esteem..
Then in the middle of the chaos, they get inside your heart. Meet Sumo, he’s 12 years old now. Still a tasty kind of bad, addictive like a sweet and salty treat. ← Rant from a Gray Mare. 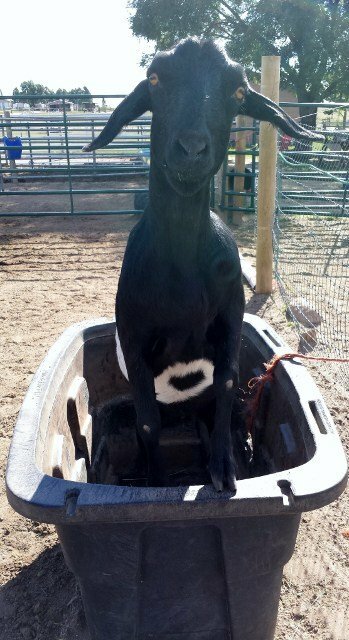 Ninja is an especially good goat name! As a Capricorn, I love them. Ekk. I wonder if that’s why I like you?? You might have the best vantage point of all. Thanks for the comment, I hear New Zealand is beautiful! My love affair with goats began when a wether jumped out of a paddock to follow me as I rode past on a horse… and despite numerous efforts to put him back and gallop away, he succeeded in his intent. 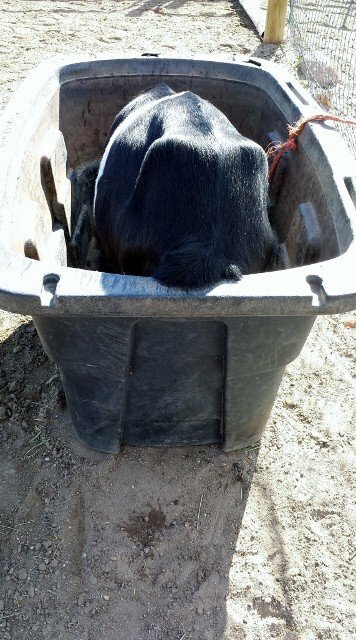 Later I had milking goats… love them and miss them. Cleverer than any dog! Your wether incident is just so very goat! Thanks for sharing it.